With St. Paddy's Day right around the corner I thought this Design Team project for SVGCuts I made would make the perfect gift set to give a friend, family member or even a co-worker. Adding a bag of favorite treats with a card just makes it a little more special and can really brighten someones day! This sentiment from Unity Stamp's February 2013 KOTM was the total inspiration for this set and I knew I wanted to use this digital paper For the Record 2 Documented from Echo Park. The Twisted Lime Trendy Twine is a perfect match and really finishes it up! The card is from SVGCuts Charm and Chance kit, I added the shamrocks from the Celtic Knots and Clovers collection, I really love how they look with the pearls. The little leprechaun is really the Mad Hatter from Alice's Cuddly Friends collection, which you can download free here. 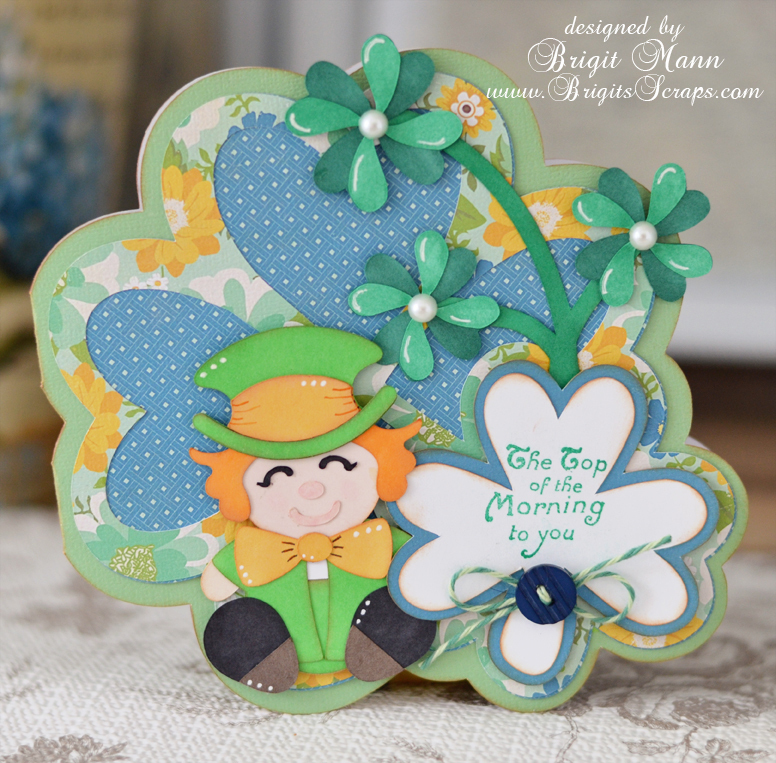 I think he makes the cutest little leprechaun. 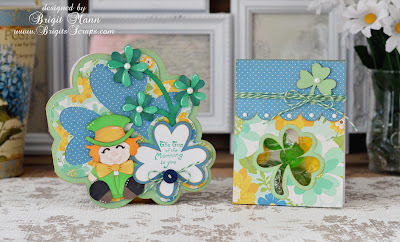 This bag is from Lucky Day Bags and Boxes, this kit has some really cute St. Paddy's Day stuff, definitely check it out, you can alter the bags and boxes for other occasions also. For a list of exact files used and directions click here, this will bring you to my SVGCuts Design Team project. Thanks for stopping by and I hope you get a chance to make this gift set for St. Paddy's Day!! 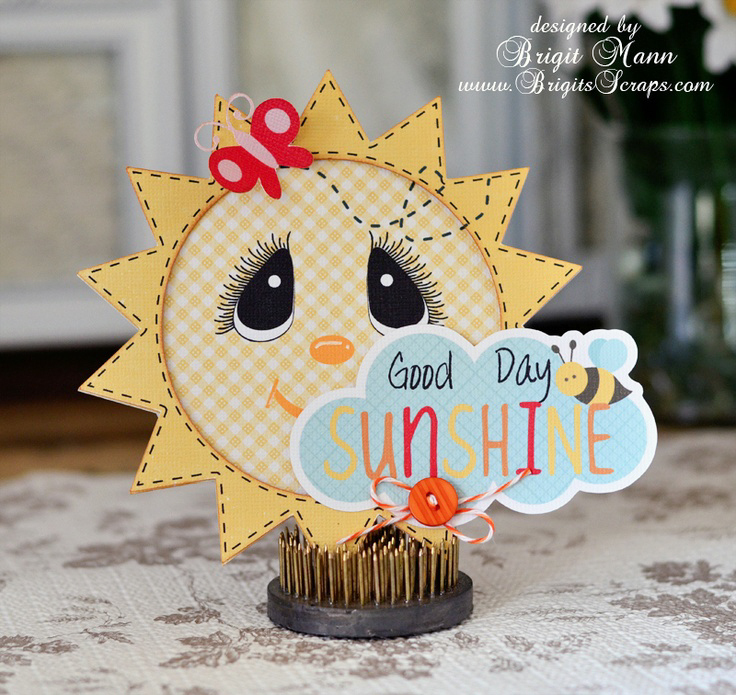 I don't think I ever made the sun card from SVGCuts Shaped Cards and Envelope kit, so I put this together quick using Echo Park's Hello Summer paper and elements and the print n cut feature of my Cameo. The stitching is also done with the Cameo by creating an internal offset and changing the lines to dashes. I created the eyes in eCal to use as a pnc, you can get the svg here and the studio file here. That pretty color Trendy Twine is Orangesicle, I love it, it's a twist of dark orange, light orange and white perfect with this paper collection. Well this is my last project for Trendy Twine as Guest Designer, it's been so much fun, I really have enjoyed it!! If you haven't already go check all the beautiful twine colors at http://anniespaperboutique.bigcartel.com, you'll just love them. I decided on this butterfly card, I'm so looking forward to spring and I thought the twine would look awesome on the wings. I used the new Aqua Midnight, Pink Midnight and a little Limeade, three beautiful colors, I couldn't go wrong!! 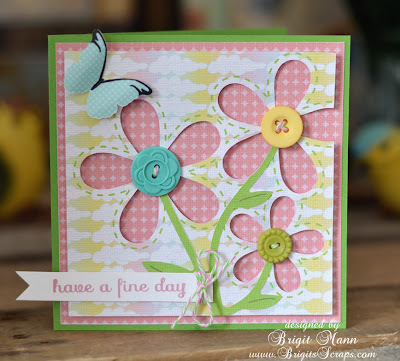 The butterfly is from SVG Cuts kit Cheryl's Cute Bugs, the sentiment is a Unity Stamp from the Blossom Stackers set and the face is a Peachy Keen Funshine Face. This was such a fun and easy project to put together and I really love the end result!! Today is the last day to enter the "Sweets For My Sweetie" Monthly Challenge, hurry up and enter!! I'm really enjoying SVG Cuts new kit Five Minute Cards, I thought this time I'd use the sketch feature in SSDE along with Amy Chomas' pen holder for the text. I used a maroon gel pen but I wanted it a little darker so I just real quick traced over with a fine black marker, I really love the look of the sketches. I think this is a perfect guy card, which I really need to make more of since I have 4 sons. 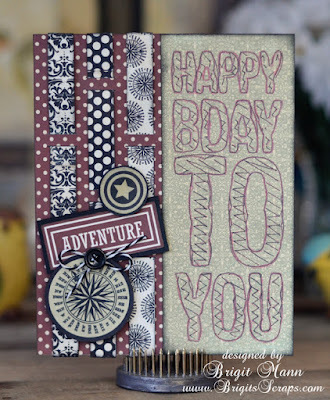 The digital paper and elements are from Carta Bella's Well Travelled collection, totally love, and the Trendy Twine is Black Licorice, perfect for this card. It was really a quick and easy card to put together, I love this kit!! I'm determined to do the new Unity Be Inspired Challenges each month, since I receive their KOTM which I love it will remind me be use them more frequently. I'm not really a stamper but I love these stamps and do enjoy incorporating them into my cutting machine projects. 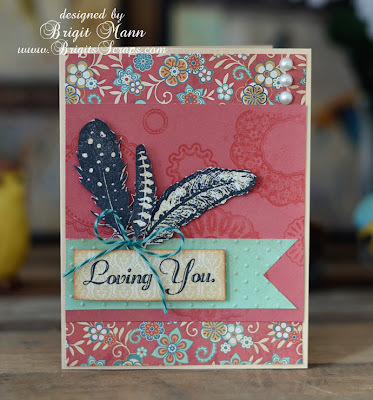 For this card I used the November KOTM stamps, I just love these feathers and that Loving You sentiment is one of my favorites. 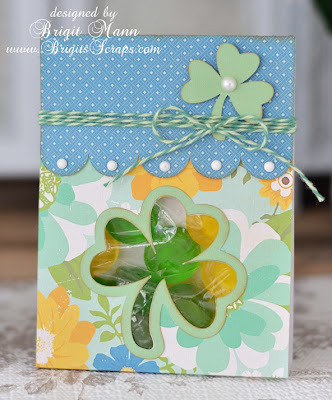 The stamped background I used the Blossom Stackers with versamark and clear embossing powder. The paper is Carta Bella Traditions, it's just beautiful, I'm so happy I have this in digital, I definitely would be hoarding this stuff. And for my touch of Trendy Twine I used Twisted Teal, it's so pretty! 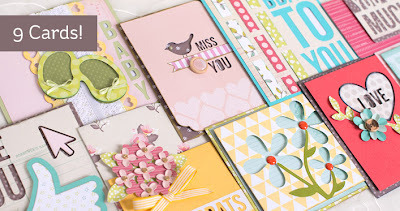 I'm lovin' the new paper that fellow SVG Cuts Design Team member Fleurette has just came out with, so pretty and definitely her incredible artistic style!! I'm so looking forward to more of her wonderful digital papers, check out her store Fleurette Bloom. 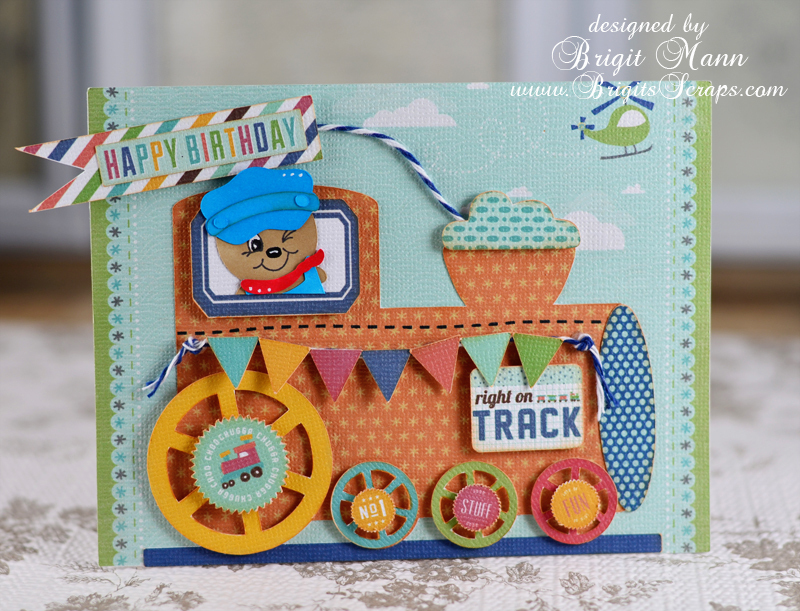 This is one of the new cards from SVG Cuts new kit Five Minute Cards, I just love it! I think Fleurette's Panda Palace paper goes so perfectly with it. 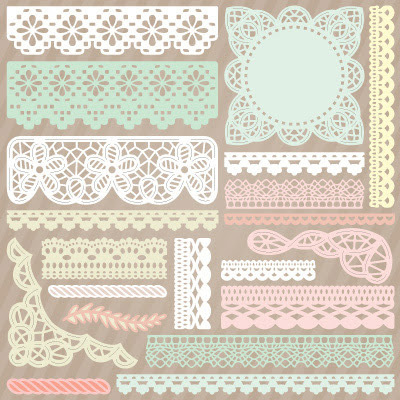 I love this paper you can use it for so many different occasions, your not just stuck with one theme. The stamp sentiment is a Unity Stamp and the touch of Trendy Twine on the buttons and banner is Watermelon Taffy. 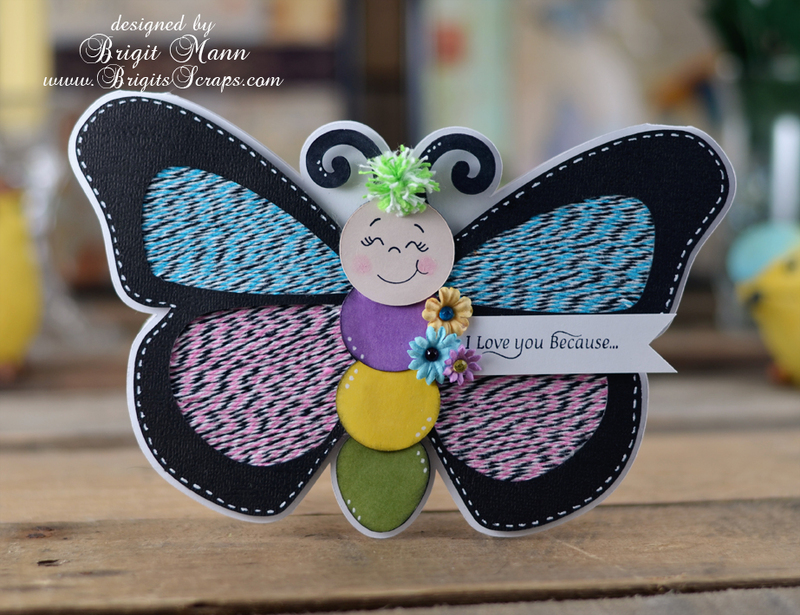 The butterfly is also from SVG Cuts, Breezy Meadow Butterflies collection. For this card I used Fleurette's Willow Lane paper, love the colors in this collection, another set that's so versatile. 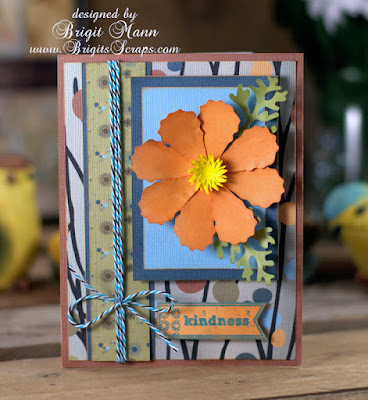 The flower is from SVG Cuts 3D Flowers and the Trendy Twine is the new Aqua Midnight, it's gorgeous!! 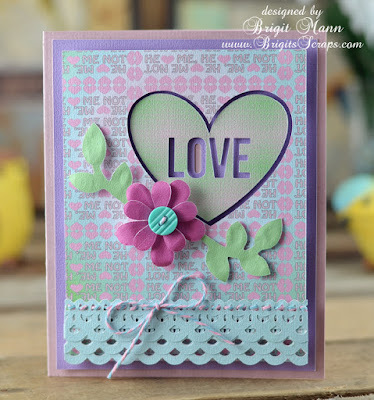 Here's a third card, this time I used Fleurette's He Loves Me, He Loves Me Not digital paper, just love these colors!! The card is also from SVG Cuts new kit Five Minute Cards, I just added the trim which is from Battenburg Lace and Crochet Trim collection. That pretty Trendy Twine is Cotton Candy, it's such a pretty blue and pink twine, great for baby things. 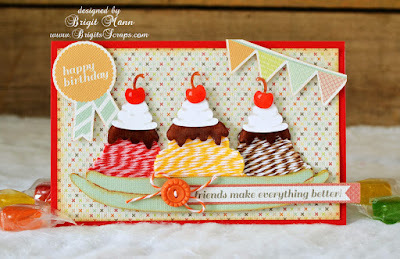 I'm so excited to show you my second project as Trendy Twine's Guest Designer for the month of February, an old fashion ice cream sundae birthday card!! I real love how the twine looks on this project, it's just so yummy!! For the strawberry I used Valentine Cherry Cupcake, vanilla the Lemon Tart, chocolate of course some Chocolate Truffle and a touch of Orangesicle on the button. The sundae is from SVG Cuts An Afternoon at Auntie Elaine's collection, I made the chocolate syrup and the whipped cream is really the top of the ice cream from the collection A Day at the Carnival. 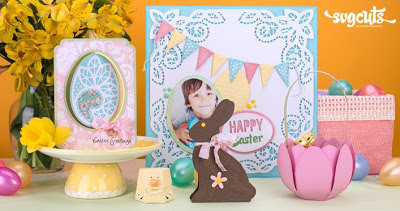 The digital paper and elements are from Echo Parks Sweet Day collection. Don't forget to enter the Trendy Twine February Challenge "Sweets For My Sweetie, full details here. 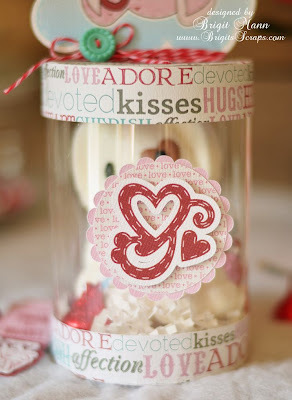 Here's a cute quick and easy Valentine treat box that I made for my Design Team project for SVG Cuts. 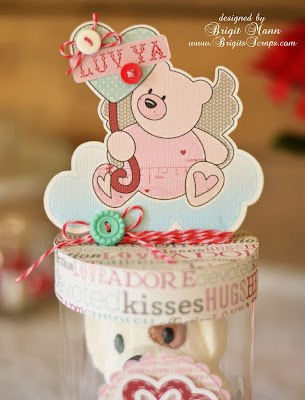 I just love the Candy Cherub Bears collection and thought if I pieced it together in SSDE or you could do the same in eCals and MTC, create a shadow layer and then do a print n cut I could put this together quickly. 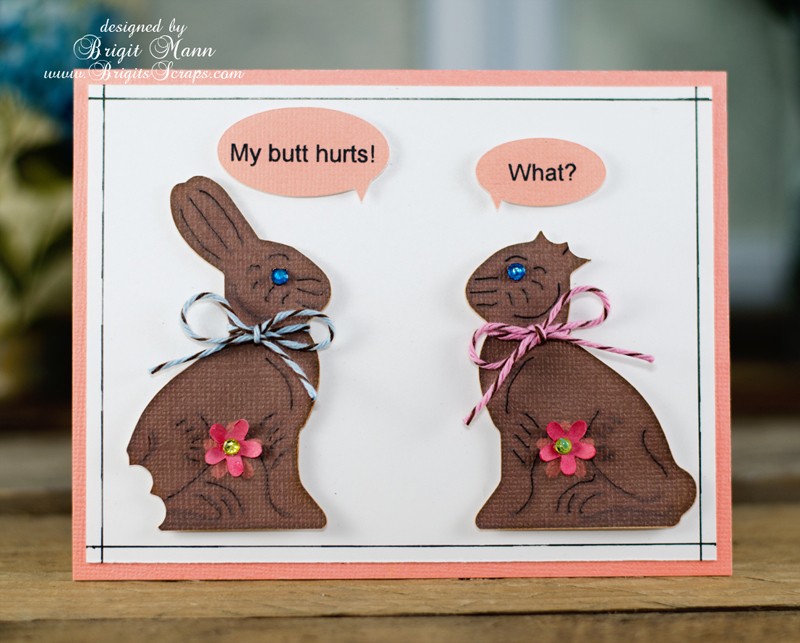 He doesn't have to be printed out you just cut and layer him too! The container is from the December Gifts kit and for the front label I used the scallop, circle and heart from the Crush On You Boxes kit. 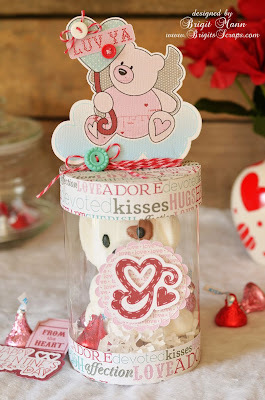 I wrapped some of this months featured Trendy Twine Valentine Cherry Cupcake around the base of the bear, I love that twine and digital paper is from Carta Bella's Devoted collection. I really like how the print n cut came out, he's so cute! I outlined in black so the shapes would pop more. All the pieces were pnc, and the stitching on the heart was done also in SSDE, just create an inside shadow and change the lines to dashes and you have perfect stitches, I love it!! A closer look, I used an overhead transparencies for the container, my sheet was bigger then a 8.5 by 11 but the size of the cut is 10.895 x 5.505 so it should just fit on a letter size. I put a valentine marshmallow doggie inside with some chocolate kisses, but a gift card or small gift would be nice also. You can get complete instructions and sizes here, I just love creating clear boxes or bags and this one is definitely very easy to put together. This bee is today's freebie over at Miss Kate Cuttables, I thought it was so adorable I just had to make a card with it. 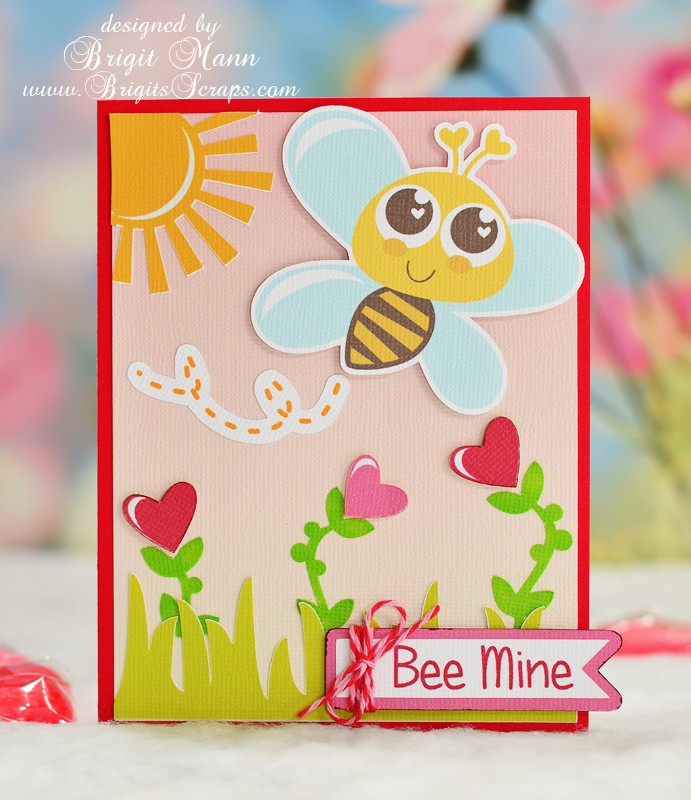 All the other cuts on the card are from Miss Kates also except the Bee Mine, banner and dashes coming from the bee, I created them in SSDE. 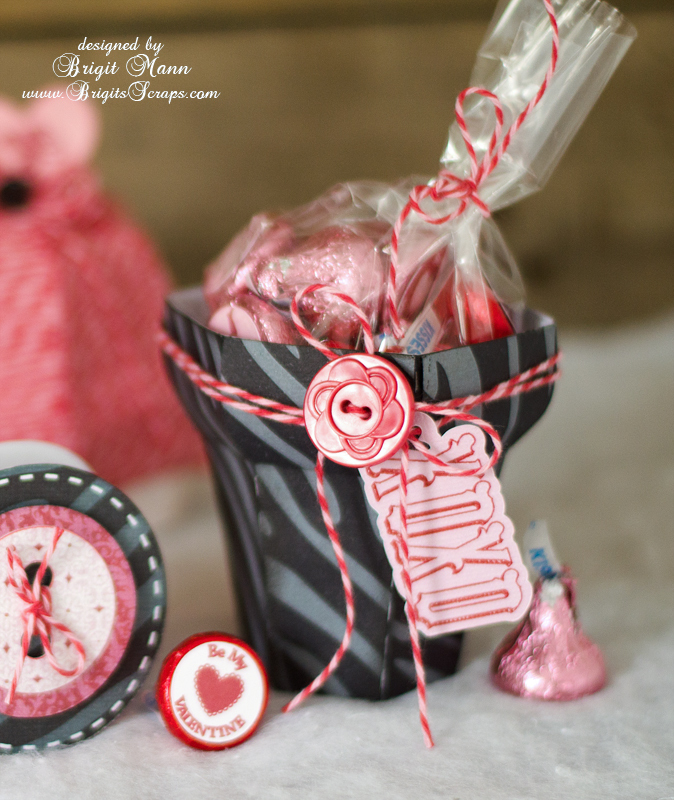 A touch of Trendy Twine Valentine Cherry Cupcake on the banner finishes it up! I think this Valentine tote from the Silhouette Store by Lori Whitlock is so adorable. Since Lori designed Echo Park's Love Story I thought it was only fitting to use it for this project, plus I just love it so much! I have a wide format print so I love to pick up the digital collections for my print n cuts. For the box itself I printed the paper on a 12 x 12 piece of white cardstock but the rest was pnc using my Cameo and SSDE. You can also get the tote at Lori's store in svg format here, all the elements used are from the Love Story collection. 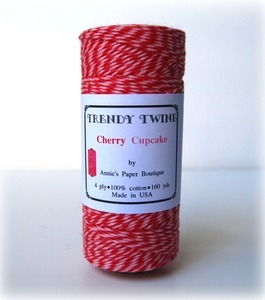 Trendy Twine used is this months spotlight Valentine Cherry Cupcake! I'm so excited, I'm the guest designer this month at Trendy Twine!! I love all the beautiful colors of twine they have and use it on just about all my projects. February's challenge at Trendy Twine is called "Sweets For My Sweetie" and this is my guest designer project for the challenge, an ice cream box and card from SVGCuts.com. I just love how this Valentine Cherry Cupcake Trendy Twine looks with Echo Park's Love Story paper, it's just perfect together! Here's the ice cream cone opened with some Hershey kisses wrapped inside tied with a little more twine. 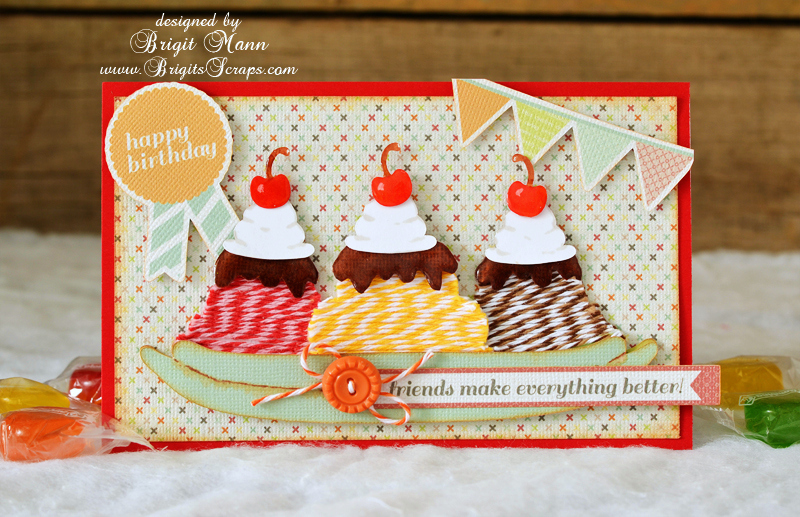 The treat box is from SVG Cuts Ice Cream Birthday kit and the xoxo on the card is from their Be Mine Valentine kit, I just made the card welding two shadow pieces together. The label on the Hershey kiss is from the Circular Seasonal Sampler collection. 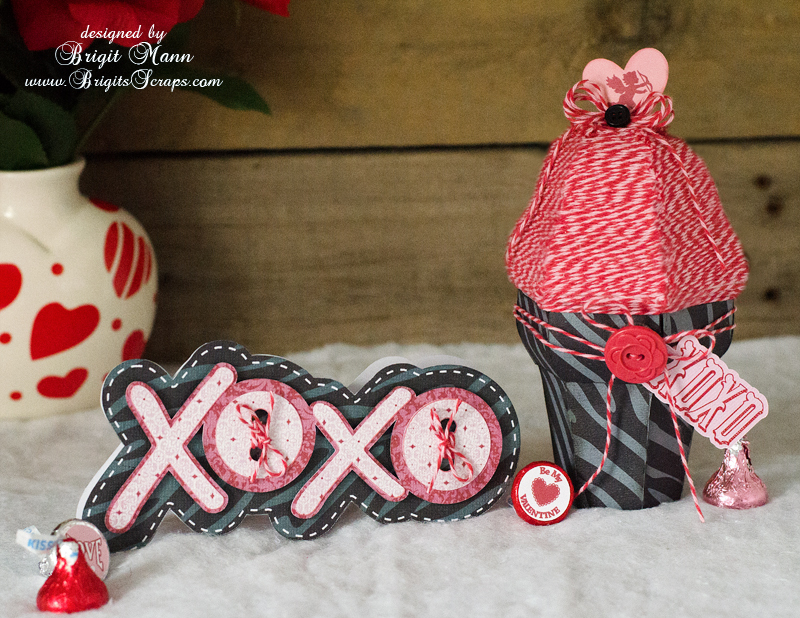 The project was cutout using my Silhouette Cameo, oh and the xoxo tied to the cone is from Unity Stamps, All You Need Is Love set. Thanks for looking and don't forget to join in the fun and enter this months Trendy Twine challenge, click here for all the details. The Valentine Cherry Cupcake is on sale till Feb 14, 2013, don't miss out!